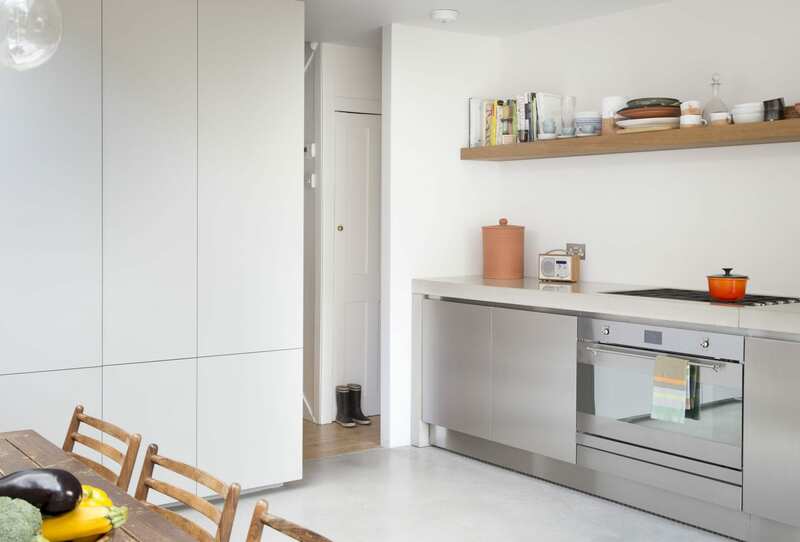 We created and installed bespoke units with made to measure handleless, stainless steel doors. 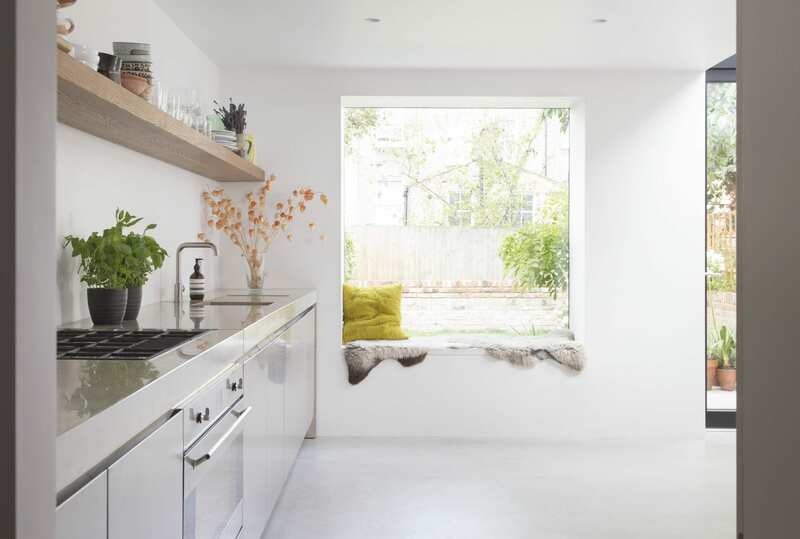 A 5 metre, custom-made oak shelf with integrated LED lighting provides additional storage and adds warmth to this elegant, sleek space. 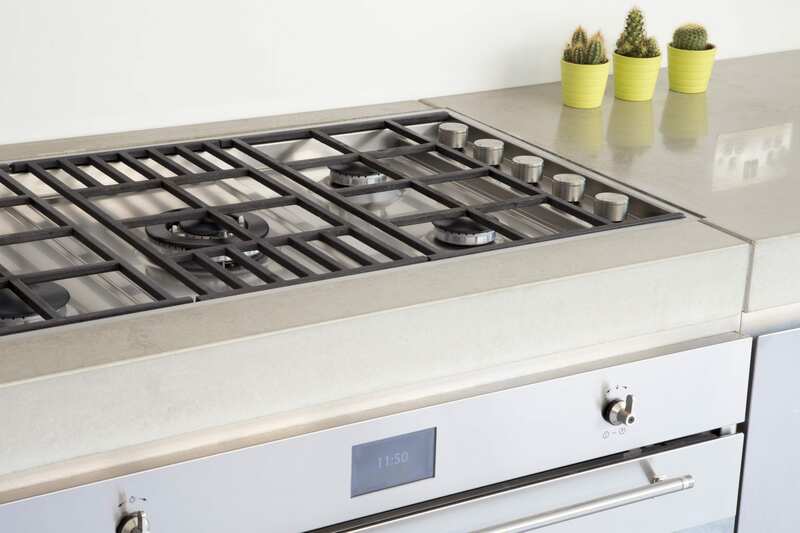 We installed a polished concrete worktop with an under mounted sink and recessed drain, as well as a sunken gas hob, creating a sleek finish to this contemporary kitchen. 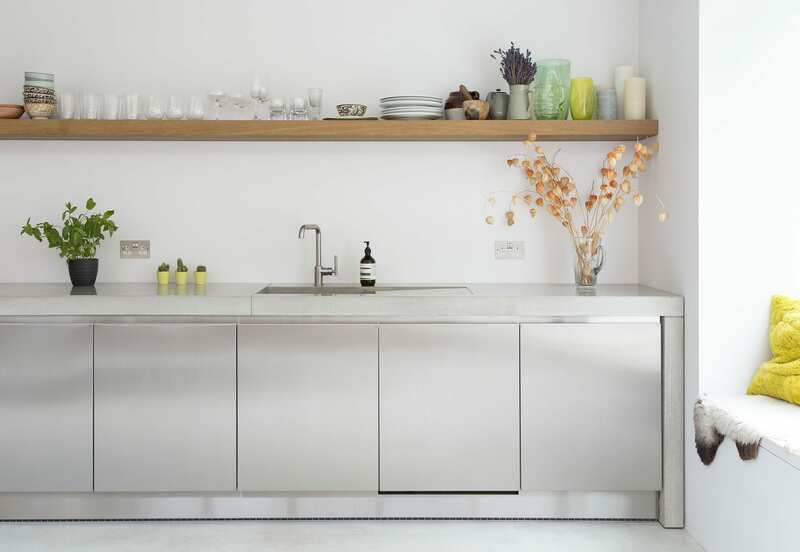 Stainless steel cabinetry complements the worktop. 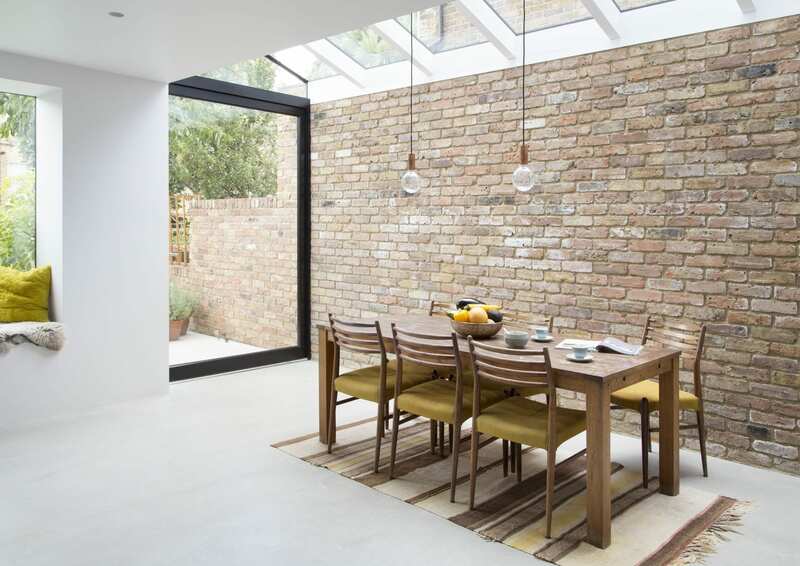 With a generous amount of natural light flooding this open plan kitchen diner and exposed brick creating an indoor outdoor feel.